Hello YouLikeHits fans. As I promise that I will re-publish Bot for YouLikeHits, and now it's time to share with you all. As we all know now that many widely circulated Bot out there, but very little work or no work at all because the bot has been patched. Or it YouLikeHits has updated their website, so that the bot is not working anymore. 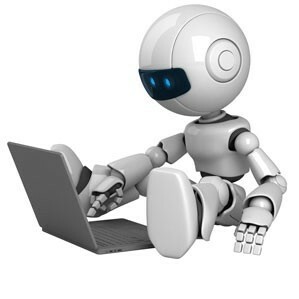 But do not worry because I share bot that works very well and works on all windows operating system. These boots also have my own tests and works very well. Unfortunately, this bot is only a trial for 30 minutes. But do not worry even if the trial for 30 minutes These bots can still be in use again and again as you like. Message from me : "Please if you want share my Bot or my post to another forum or blog, pleaseee include the source, cause I found many people has copy my bot and all my words then post and make thread about this bot but did not include the source from my blog. Thanks if you'r understand." Great Share this bot working like a charm! Plz keep it up great work. You'r welcome, thanks fo visiting my blog. Anyway i don't know how to fix the 30min problem. I've extracted the .jar but i don't really understand the .txt. Can you make a video or a tip to fix it? Hello.. I got trouble can you help me? My trial 30min has passed. I close the bot, but when I want use it again it's said "Your trial expired..blablabla" and I search a "log.in" file on bot folder but nothing file was a name "log.in". Can you help me where I find "log.in". Thanks before and I'm waiting for your answer. Oh sorry before, I mean not "log.in" but "config" file. Delete that "config" file,and done you can run your bot again. Next time if your 30min passed,deleted again the "config" file. Sir can u make a video Bec. I DL this And its Only AbC i cant get it done the very first to donwload b4 this thats what im looking for tnx..
where is the run bot? i think i didnt download the software of the bot?where can i find it tnx. The .jar file is a bot. didn't work !!! just said "Waiting for new facebook pages" and nothing happen !!! More powerfull than bot, stay update here. Thanks vor visiting my blog. - Connection has been restarted. Thanks to for visiting my blog. HELLO , U R GREAT MAN ! it is working very good..i am happy to get it after a lot of searching..
only problem is that facebook "like" dont work..
also where is ur imacros script..?? can you please provide a traffic generator blog?